The idea of a smart home never fails to fascinate, especially as a simple voice command to a smart speaker can get all sorts of things done in and around the house. But when alone (read no compatible devices are connected), these smart speakers could do very little apart from acting as your morning alarm, newsreader, music player, cab-booking device and a handy search engine to answer your queries. As for other household tasks like turning on or off air-conditioners and lights to switching on a coffee machine to scanning a baby monitor/security camera footage, these gadgets must be able to communicate with your virtual voice-controlled assistant (they mostly do it over Wi-Fi). Home automation means some additional investments, but it will not cost you a fortune. Over the years, smart home tech has become more accessible and affordable, and you will find a wide range of pocket-friendly gadgets which are Google Home and Alexa-compatible (including the Amazon Echo range and third-party speakers). 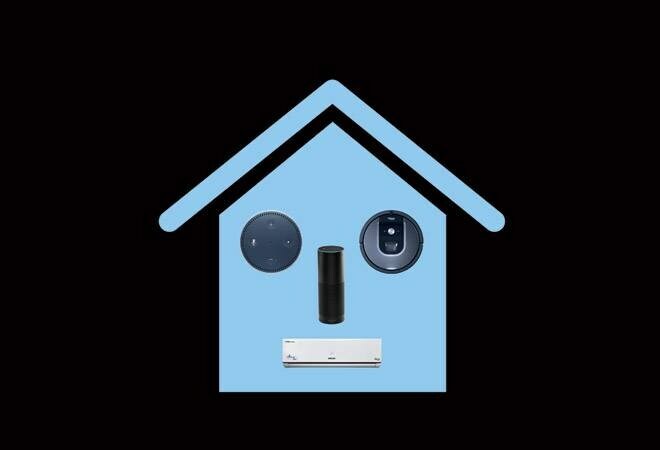 Here is a look at the smart home buddies which are compatible with either of them or both. Smart lights are useful without making things too complicated and Philips Hue is one of the best in this category. It is compatible with both Google Home and Alexa but requires a bridge when connecting to Amazon Echo, Echo Dot, Google Home and Google Home Mini speakers. Those with a built-in hub - Echo Plus, for instance - can communicate straightaway with the Zigbee standard on which the Hue is based. But if you are looking for an affordable product which is simple to set up, look no further than Syska Smart Light 7W LED Bulb (Rs 1,799), EDSUN Plastic Smart LED Bulb (retailing at a discounted price of Rs 1,099) and Yeelight Lightstrip Plus (Rs 4,399). You can not only turn them on/off with voice commands but also manage their colours and brightness levels. A handful of smart televisions and media-streaming devices also support voice integration. If that is at the top of your list, take a look at Xiaomi's Mi LED TV Pro range. Even the 32-inch entry-level smart TV at Rs 15,999 is Google Home-compatible. One can use the smart speaker to turn on/off the TV and play movies, TV shows and YouTube. Blaupunkt LED televisions also come with Alexa support and they are quite affordable at around Rs 40,000. However, if your current LED/LCD/Plasma is working fine, add a Google Chromecast 2018 (Rs 3,499) to the entertainment unit and ask your Google Home speaker to play your favourite YouTube or Netflix show. Not many options are available for voice-controlled air-conditioners, but the Voltas 1.4 tonne Wi-Fi split AC (Rs 35,990) works with Alexa and comes with a number of features, including instant cooling, active dehumidifier and a four-stage filtration advantage to remove allergens and odours. Vacuum cleaning robots are not yet a household name in India but Roomba 960 (Rs 51,900), part of the iRobot 900 Series, will follow your voice instructions. Used for everyday cleaning, it works on all floor types, including carpets, and has dirt detect sensors that target areas with a high concentration of dirt. Xiaomi has also integrated Alexa and Google Home support in its recently launched Mi Air Purifier 2S (Rs 8,999). Even the previous model, Mi Air Purifier 2, can be controlled using smart speakers. Security cameras, too, support smart speakers for viewing live footage. The D-Link DCS-P6000LH Mini HD Wi-Fi Camera (Rs 2,490) can record 720p videos and comes with sound and motion detection with remote access. Act smart and buy accessories which can bring smart functionality to old gadgets at a fraction of the price you have to pay for new appliances. It can be done by installing smart switches and infrared (IR) blasters. Oakter has a range of smart plugs (comes with the hub, a kind of unifying platform to control and run gadgets from different manufacturers) for low-power (Rs 3,558) and high-power (Rs 4,480) gadgets and these plugs fit into the existing sockets. Once installed, you can run your existing home appliances such as water pumps, lamps, coffee machines, TV sets, rice cookers and even the tiny mosquito repellent devices with voice commands. Just attach them to Oakter smart plug, and you can schedule routine activities, auto on-off timers and do more using the app. If you want to connect more appliances, consider the Oakter Smart Home Kit (Rs 13,725) that includes a 6 Amp and a 16 Amp smart plug, a 5 Amp smart box, a Quadra Smart box for four low-power devices and a hub. The one on the slightly affordable side is the TP-Link HS100 Wi-Fi Smart Plug (Rs 1,750) that can be used for low-power gadgets. You can also instal AIFA i-Ctrl smart home device (Rs 4,500) to control your IR remote devices within a room. Set it up by using the smartphone app and then use a single device to control multiple IR-based gadgets such as televisions, air-conditioners, set-top boxes, fans, DVDs and more.